One of the reasons we clamor for new versions of our beloved devices is because we want to get new features that we think will make them even better. This is why we’re all excited to see what the new Galaxy Note 2 will look like or if the iPhone 5 will be a significant upgrade of its successor. However, it looks like UK’s OwnFone intends to buck that trend by releasing a phone that decidedly is the epitome of simplicity and will only serve as a means to contact important people in your life. The OwnFone is no larger than a credit card and weighs about 40g. It will be personalized based on the contacts you name, up to 12, before you order it. Why do you need to pick contacts? It’s because the device doesn’t have the ability to dial out to actual numbers aside from the ones you’ve picked; all those numbers will be programmed into the phone and stored via the cloud. This is also why the website recommends that you include some important emergency numbers in your list of 12 contacts. 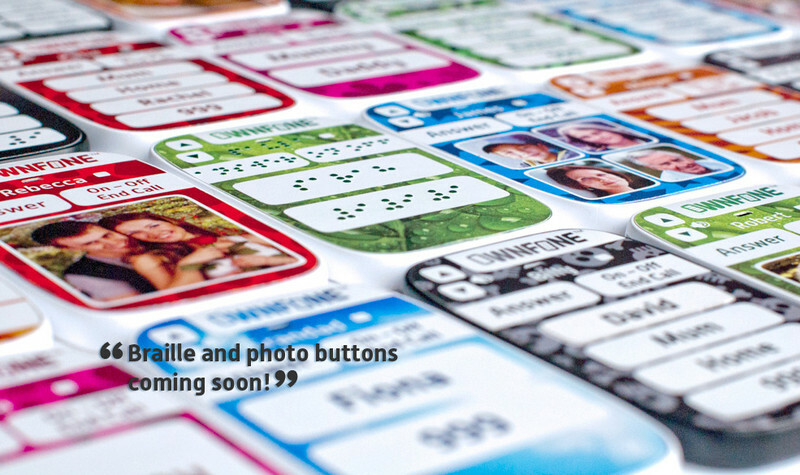 Contacts will be represented on the device by their names but soon there will be options to use photos or Braille. While there’s no way it can compete against the Galaxy Note 2 in terms of specs, the OwnFone can be seen as cheaper alternative to the current mobile phones in the market and could be a good fit for people just looking for a no-frills device that will allow them to remain in touch with friends and loved ones. It could also do well as a back-up phone for those times you find your mobile device out of juice after long sessions of Temple Run. Its simplicity may also make it an ideal device for children and the elderly. The OwnFone is also going to be significantly cheaper than the Galaxy Note 2 and can be had for a mere £55 (around $90). If you’re interested in learning more, be sure to visit their website.